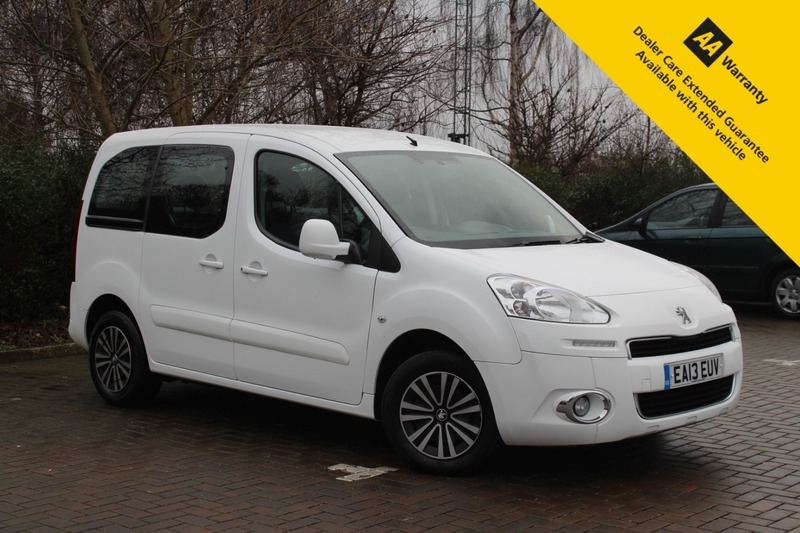 Here for sale at Leigh Cars Ltd we have a superb example of the popular and versatile Peugeot Parter 1.6 HDI Tepee. This particular example comes with UPGRADED AIR CONDITIONING, which is ice cold, along with 2 keys. This fine face lift example comes in white and is extremely PRACTICAL and VERSATILE. It has had just the 2 private owners from new and the vehicle is in great condition inside and out for the age and the mileage. The vehicle also benefits from a BRAND NEW MOT - EXPIRY FEBRUARY 2020 and a SUPER FULL SERVICE HISTORY - 12 STAMPS IN THE BOOK - LAST SERVICED AT 93k. This spacious and practical vehicle only sits at GROUP 3 INSURANCE and the ROAD TAX IS ONLY £140 per year with an average fuel consumption of 54mpg so is nice and ECONOMICAL to run. This model is based around the same chassis and dimensions as the award winning Peugeot Partner Van and can easily be converted for business use, with ALL SEATING REMOVABLE AND INTERCHANGEABLE. The volume of space created by this would be more than suitable for anybody requiring it for commercial use. The great thing about doing it this way is that because the Tepee is classed as a car rather than a van, THERE IS NO VAT TO PAY, unlike a commercial. It also means your road tax is cheaper and isn't affected by the London Low Emissions Zone as it is not classed as a commercial van. You could even sell the rear seating on EBAY for £200 if it wasn't required. HURRY - THESE CARS WITH THIS MILEAGE DO NOT STICK AROUND LONG - RESERVE THE CAR DIRECTLY ON OUR WEBSITE OR PLEASE CALL TO LEAVE A REFUNDABLE DEPOSIT TODAY.